St. Patricks day is coming up on Monday, and St. Paddy’s Day isn’t St. Paddy’s Day without corned beef! 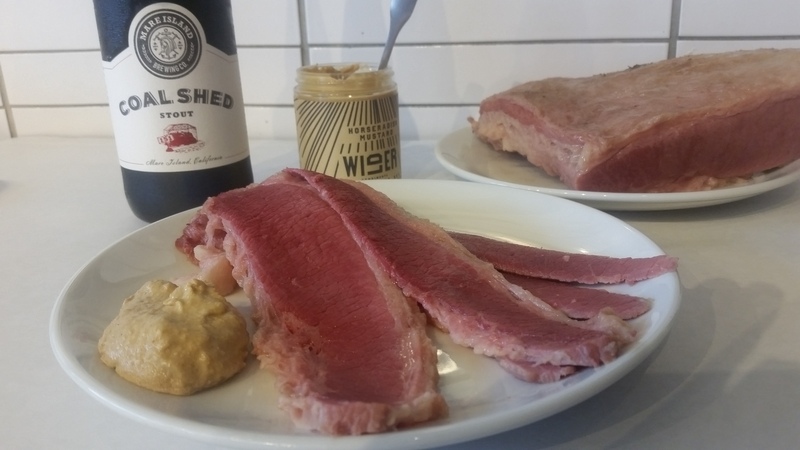 Both Five Dot Ranch and The Fatted Calf have their own versions of corned beef available for your St. Paddy’s Day celebrations. And, of course, leftover corned beef makes amazing sandwiches, perfect corned beef hash, and is great chopped into a salad. Make sure to pre-order your corned beef by stopping in or calling today. Plus, you can enjoy St. Paddy’s day at Five Dot Ranch Friday, March 14 through Monday, March 17 (St. Paddy’s Day). This year, the menu features house-made corned beef with braised cabbage, mashed potaotoes and whole grain mustard sauce for $15. We recommend calling ahead to reserve yours 707-224-5550.